A lovely cosmetic bag featuring Jo's Summer Meadow design, inspired by British wildlife. This bag is a high quality print of Jo's original design, on a beautifully soft polyester velvet. It also makes the perfect bag for pens and pencils, your lunch, a sewing/knitting kit... The choice is yours! This bag is fully lined. It has a zip closure and a handy ribbon hanging tag in a contrasting cream colour. The zip pull comes complete with a hand-tied ribbon in a complementary green. The design is the same on both sides. 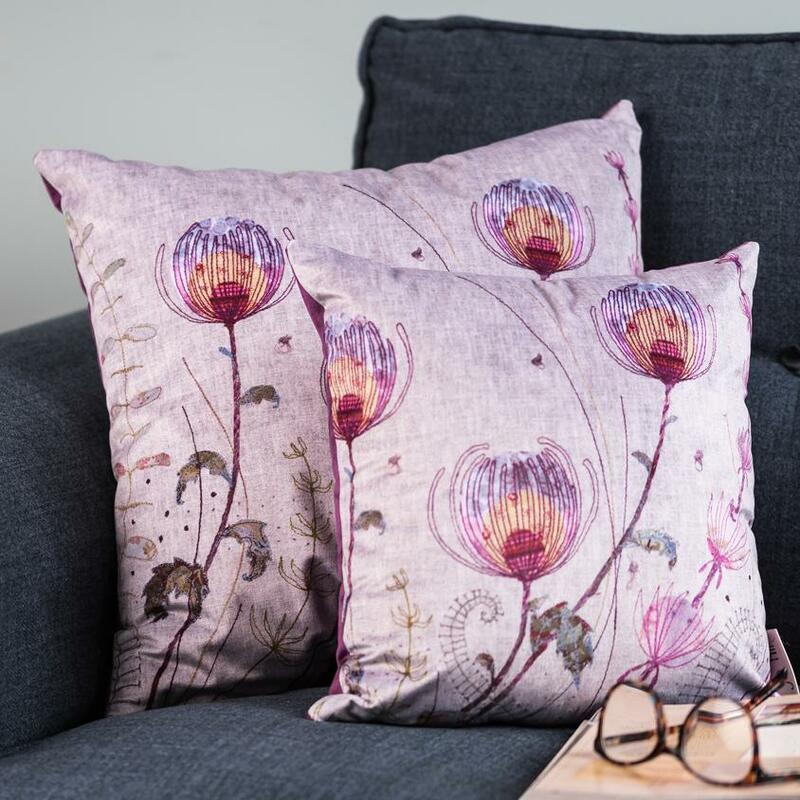 "I created the original, handmade Summer Meadow design from my studio in the heart of the Staffordshire countryside. It was created using free motion embroidery, an exciting technique where I use the sewing machine to 'draw' the details of the wildlife onto the fabric with the sewing machine. The design is a high-quality print of my original design in purple, pink and green. It is an excellent reproduction of the original embroidery." Designer: Jo Hill and includes the Jo Hill woven label so you can be confident you are purchasing a genuine piece from the Jo Hiill Homeware Range. Care: Gentle hand wash (label stitched into lining). Designed by Jo Hill and stitched in Staffordshire, UK.